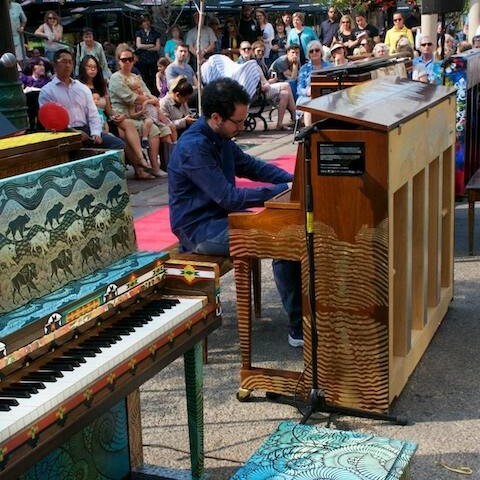 Repurposed Sherlock-Manning piano (# 122348), made in Clinton, Canada. 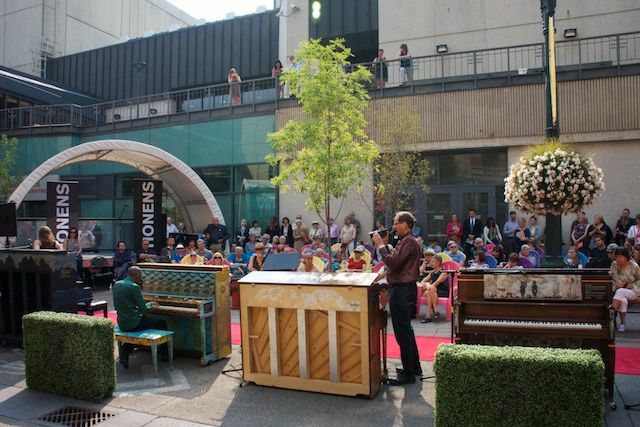 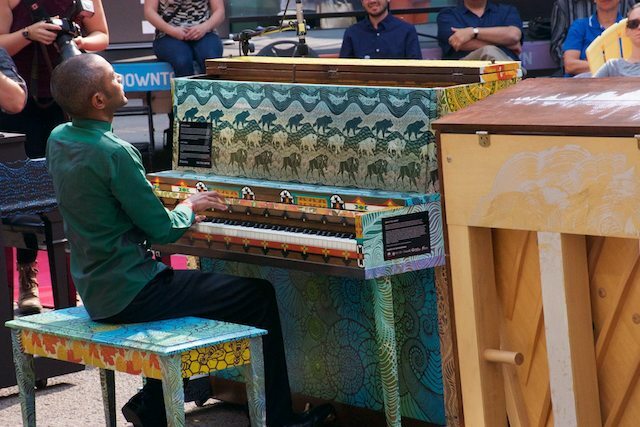 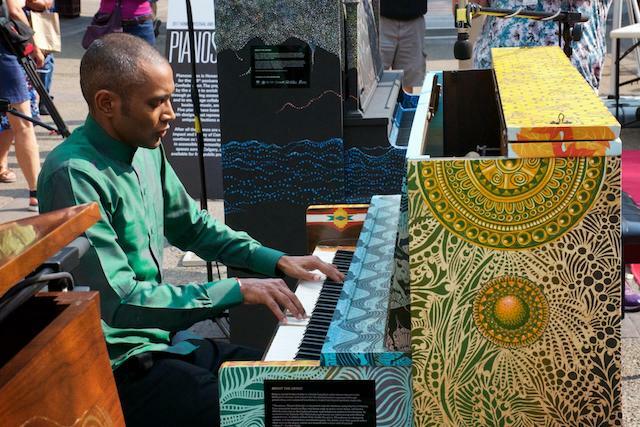 The piano is decorated with the rhythms and patterns of Alberta, from ammonite fossils to flora and fauna such as grass, trout, bison and bears. 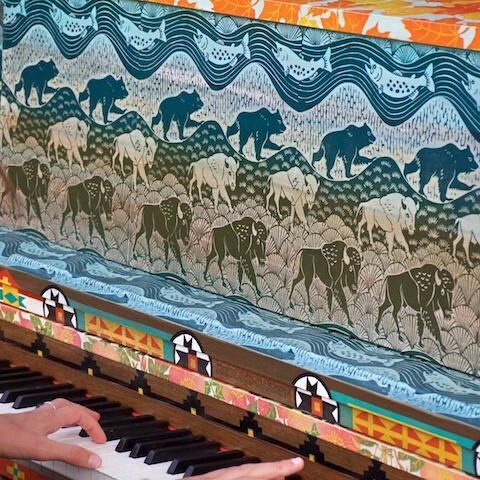 Alberta roses are on the keyboard cover and Indigenous patterns line the keys. 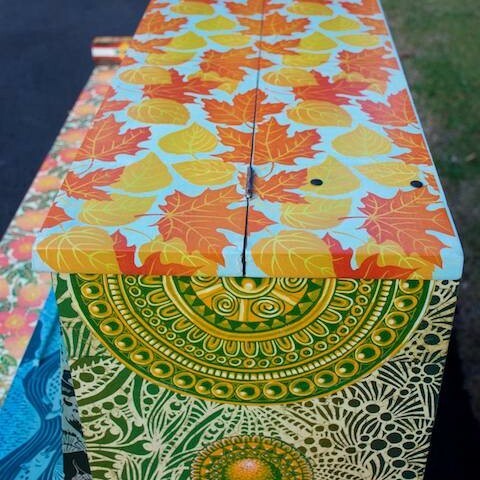 To commemorate Canada 150, National maple leaves are intertwining with Alberta aspen leaves. 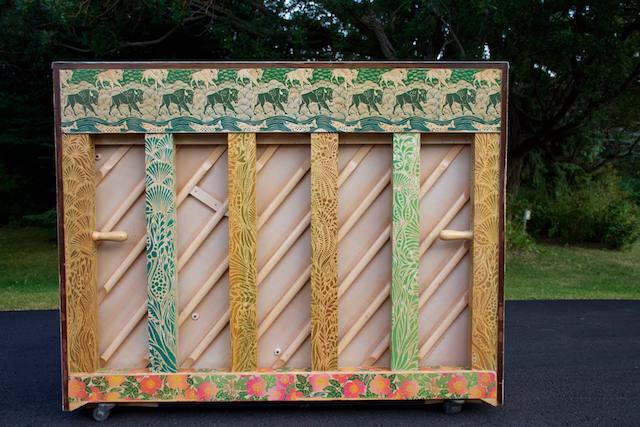 A colony of bees lives inside the piano. 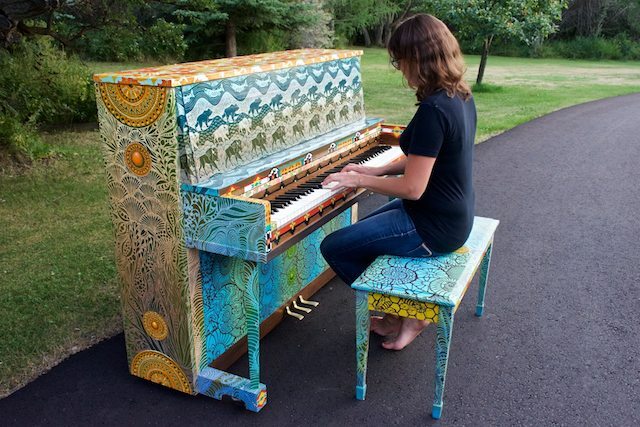 All patterns are designed, carved and hand-printed by Calgary artist Eveline Kolijn on translucent paper. 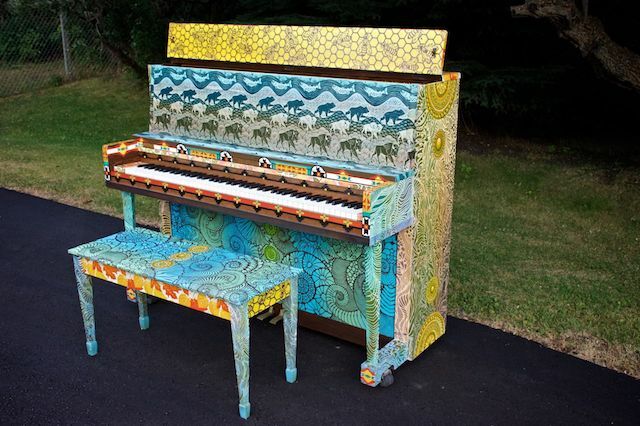 The prints were then pasted with a clear coat on the piano, which was treated with a basecoat of several colours.